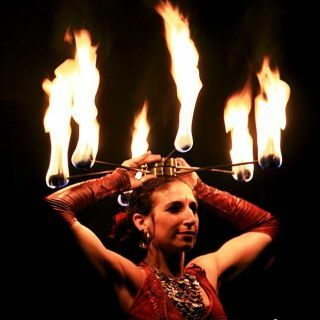 I am a performer based in Berlin, My show is a solo-female-fire show using original fire props & tribal fusion dance. It is my profession since the last 13 years. I am constantly traveling & touring with it around the world.